With their sleek foldable design, these headphones store neatly away when not in use and are the ideal choice for adding music into a modern, busy lifestyle. 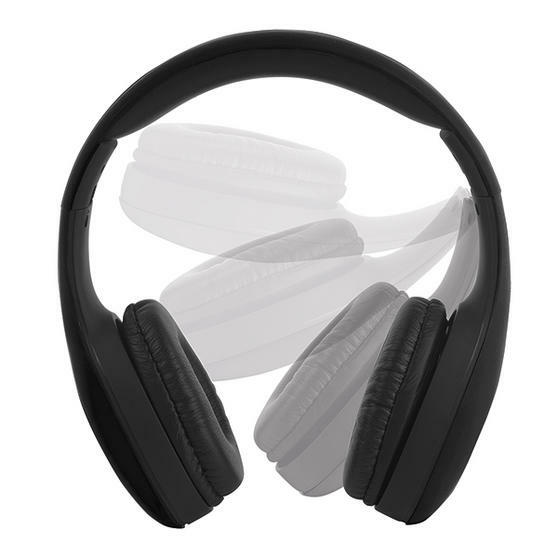 Featuring cool black styling with a rubber oil finish and soft padding around the ears, they are comfortable to wear and have amazing sound quality. They have a removable 1.5 metre cable with a 3.5 mm stereo jack which should fit any music player, and the long cable makes wearing headphones amazingly easy so you can enjoy the best music.